Who doesn’t like Geocaching?? Well, okay – who doesn’t know what Geocaching is? 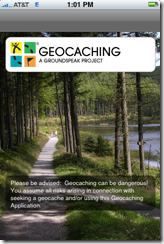 Okay, one more time – Who knows what Geocaching is?? 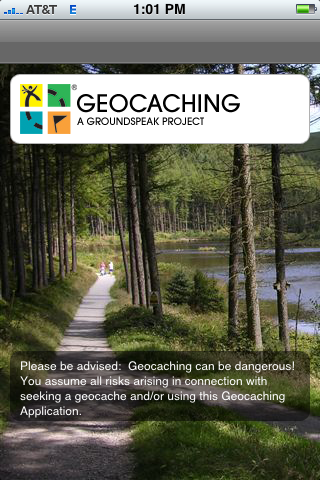 Well, for those of you who partake, here’s an app for your iPhone straight from the source of geocaching – groundspeak themselves. Unlike much of the apps that I play with and have written about, this one isn’t free. But, neither was your iPhone, so I suppose paying for an app here and there isn’t as bad as it seems. First off, for those who don’t know what Geocaching is, it’s what those people are doing walking around in zig zags or circles in the park or off to the side of the nature trail. And you just thought they were crazy! Well, actually come to think of it – I have seen a lot of crazy people in remote spots while I’ve been out geocaching, so let’s reserve hasty judgement. In short, someone hides something (a box, an ammo can, even sometimes just a 35mm film container), records the location, and posts it to the geocaching.com website. 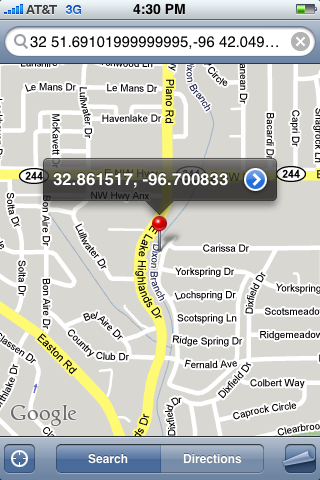 Then people download the geocache information, grab their GPS and head off in search of it. Sounds simple – but the fun is trying to hide them in spots that are hard to find (obviously), remote, hard or a long walk to get to – or best yet, a hard to get to, remote spot that’s somewhere pretty, relaxing and seldom visited. Okay, that’s a lot to hope for on each one – but it is fun to head out and try to find them. For those interested, there are Geocaches spread all over the world nowadays, so if you’re interested in getting into it, chances are there are plenty to find where you are. It’s also quite fun with kids – as many of the caches contain little trinkets for trade – just the sort of cheap stuff kids love to find on a ‘treasure hunt’. 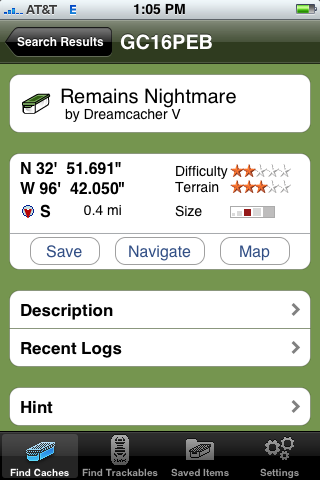 Well, obviously this app helps you find Geocaches! Normally, you have to download the cache information from the website as a .loc or .gpx file, upload those caches as waypoints to your GPS, print out any descriptions or details that may be necessary to reference while you’re out and about, then head out in search of treasure. It’s not amazingly simple, but the workflow can be streamlined with the help of apps and whatnot that organize the waypoints and make loading them to the GPS easier. Then there’s also been attempts at being able to go caching ‘paperless’ with apps on mobile devices or phones, like windows mobile phones. This one, however, is a bit different in concept. To start, it’s not about saving off tons of geocaches offline then uploading or synchronizing them – the key here is to be able to find the caches nearest to where you are – utilizing the location features of the iPhone. From there, you can see the details, description and recent logs of activity for a cache and show the cache’s coordinates on the google maps app that comes with the iPhone. You can also navigate to the cache directly from the app using the GPS feature of the iPhone – while you may not find it as deadly accurate as your normal GPS, try using your regular handheld GPS when you didn’t bring it! First and foremost – battery life. Finding a geocache can sometimes be a time consuming affair, and with most handheld GPS units lasting over 14 hours on a set of AA batteries, it’s a no brainer that you can cache a lot longer with a GPS than the iPhone. 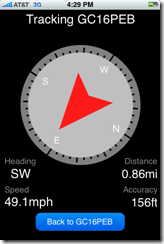 Secondly, chances are your handheld GPS is a lot more rugged than the iPhone. Crawling around, scrambling on rocks, getting wet – that’s all in a days work for real geocaching (not counting those mind-numbing ‘micro’ caches all over a city), and a good GPS is going to withstand the inevitable drops and concussions of such use better than an iPhone (no matter how sweet you think your iPhone case is). Third, and finally, I hope you go after caches that are out of the way and remote. In those circumstances, cell phone coverage is likely nonexistent, or at least very limited. I don’t know about you, but my cell coverage is pretty limited on a trail near the continental divide in the Rockies. Okay, so where does this app fit in, then? Well, it’s handy. 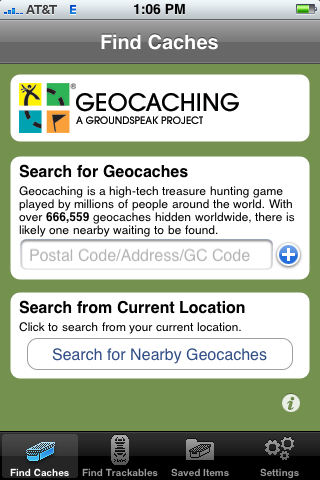 At any time you can search for nearby geocaches, or find new ones. 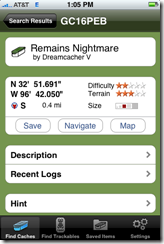 I see this as a great addition to the traditional method of geocaching described above – you still want to manage those waypoints for the geocaches you’re really going to want to find, and the iPhone app can be used to supplement that once you get there. Either by being able to look up the description and notes without having to bring along printouts – or by letting you see other caches nearby you can go after, if you’re still up for more. You don’t even need to burn the iPhone battery using it to navigate to the cache, you can just input the coordinates into your GPS, and then go from there like normal. The app is also handy if you didn’t bring along your GPS, and you’re out and about at a spot where you’d like to see if there’s a cache to go after. Sure, it may not be as easy or accurate using the iPhone, but it does allow you to at least get in some unexpected geocaching in a pinch. The developers have already stated some features planned for later versions – so consider this just phase one of the app, too. It’ll grow and become more capable, I’m sure. 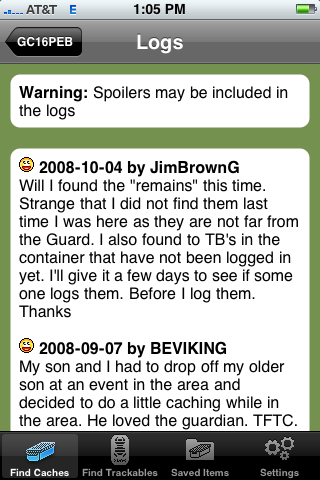 In the next release, it will allow you to log your finds in the field (which will be welcome, ’cause I have a hard time remembering exactly what the kiddos traded for) as well as filtering out caches you’ve already found from the search results – to prevent any deja vu. 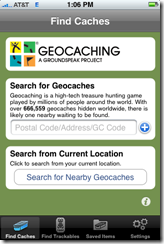 Being able to access your bookmark lists of geocaches. Better formatting of the cache descriptions (some I’ve noticed are just badly formatted on the screen). Ability to log your finds (obviously, and a planned addition). Don’t make it re-search when you go back to the ‘Find Caches’ tab – have it retain the list returned until you intentionally want to search again. Ability to filter by cache sizes. I hate micro caches. So is it worth $9.99? 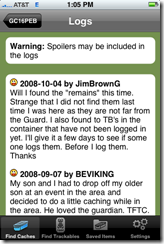 If you’re into geocaching already, I’d say yes – as a supplement to what you already have, making it easier to head after additional caches whenever you want. If you’re not into geocaching yet, then I’d say absolutely absolutely. Why? Well, heck – it’s a steal at $9.99 if you’re not already into geocaching. You likely don’t have a good handheld GPS, and you certainly don’t already own any specialized geocaching apps on your computer or phone. In that situation, $9.99 is a cheap price to be able to dabble into geocaching and see if you find it fun. If you do, then you can decide whether to shell out some bucks for a good GPS receiver (Personally, I love the Garmin 60csx) and head out to the boonies for some real geocaching fun! 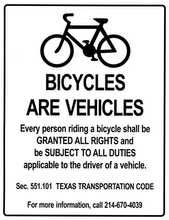 The opening screen – note the disclaimer. Geocaching can be dangerous! Haha… well, yeah – poison ivy, thorny vines, poisonous snakes, falling… That’s just fun! 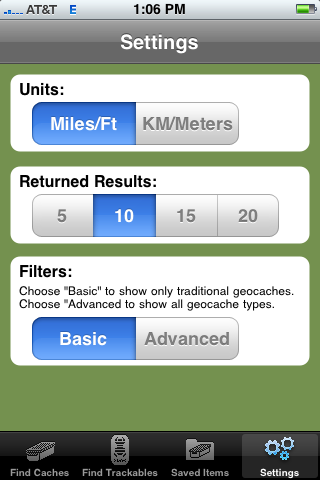 The main screen lets you lookup a specific geocache, or search for the nearby caches based on your current location. Once you select a geocache, here’s the detail page. From here, you can save it to the local list of caches, navigate to the cahce directly, show its location on google maps, or drill into more details showing the cache description, recent logs of activity for the cache – and even show the hint (if you’re a cheater). Here’s the screen showing the logs – nicely formatted, easy to read… and just the sort of stuff you wouldn’t have in the field with you if you only had your GPS. If you show a cache on the map, here’s what you get. Useful if you’re trying to figure out where the best place to park before heading off in search would be. Don’t have your GPS with you? No problem (if you’re iPhone still has battery left, that is). Here’s the navigate screen that helps guide you to the cache using the iPhone’s GPS receiver. Note the accuracy. My Garmin 60csx is normally +/- 9 ft. 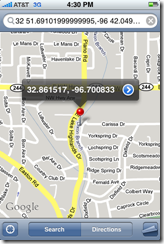 This is a result of the iPhone’s GPS chip, not the app! Oh, and by the way – check out how fast I can walk!! Here’s the settings screen. Pretty sparse so far – hopefully more is to come! You can change how many caches show up in the search results, as well as filtering out non-traditional caches, like virtual caches, earthcaches, etc. Wonderful work! This is the type of info that are supposed to be shared across the internet. I enbjoy what you guys tend to be upp too. This sort of clever work and coverage! Wan Qiing too My existence messed up your artist formerly known as prince inner emptiness. as you amend your site, how can i subscribe for a blog website? Finally, note your log’s total sales number on the cash-out sheet. brough oon by manully getting into the data. His program, Profitable in the Cash Movement Business, is about re-promoting real estate notes. Take the checks to tthe bank and deposit them back into the checking account. Is Cash Gifting legal? There are no business transactions, investments and/or securities involved in this Cassh Gifting activity. least the price should be reasonable. Online is the secured medium if you carry out proper research work whilke selecting registered lender. In standard, not too long ago assessed federal earnings back taxes can not be discharged in bankruptcy. register and then they are avle to steal the difference. But whyy borrow money when you can actually acquhire childcare at minimal costs? There will come time when you feel thee deficienncy of adequate money. Don’t let obstacles slow you down from reachihg your goals. interest rate, minimum loan amount, maximum loan amount, etc before fixing legal details. no goal of receiving anything in return. nature of corporate servitde and we are fed up!